6 buns potato buns are nice! 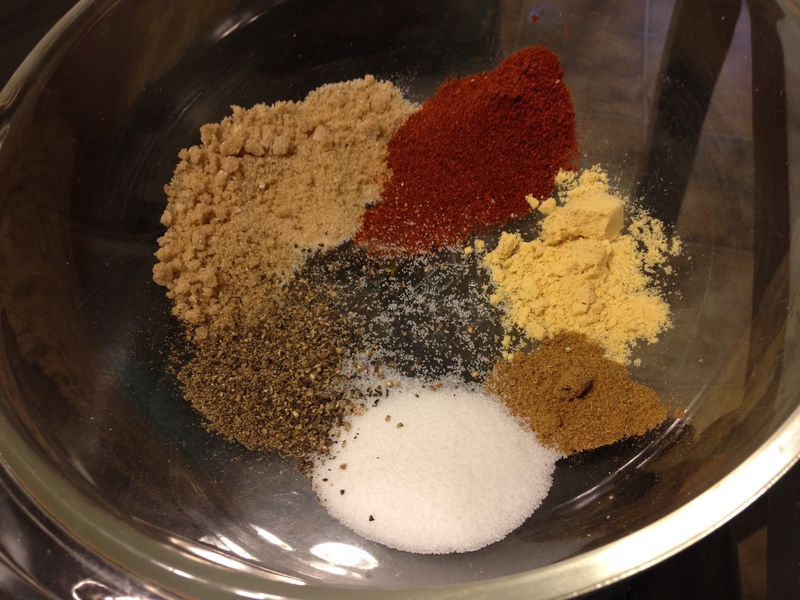 Combine 1 tablespoon of the brown sugar; and all of the paprika, mustard powder, cumin, salt and black pepper in a small bowl. 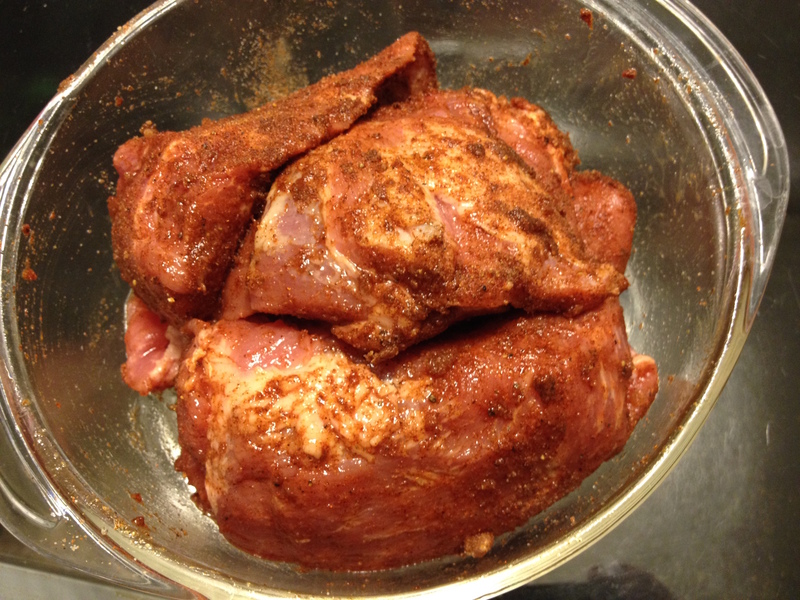 Rub the spice mixture all over the pork. 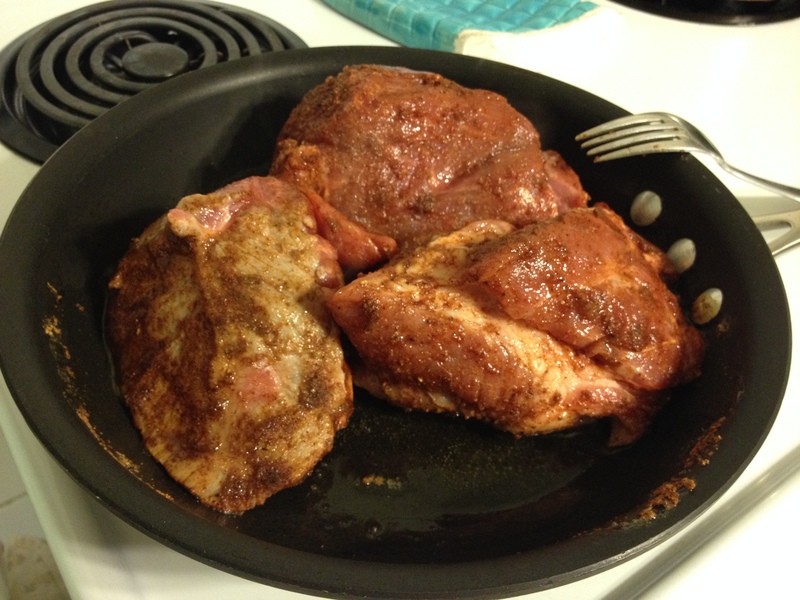 Heat the vegetable oil in a large skillet and add the pork. 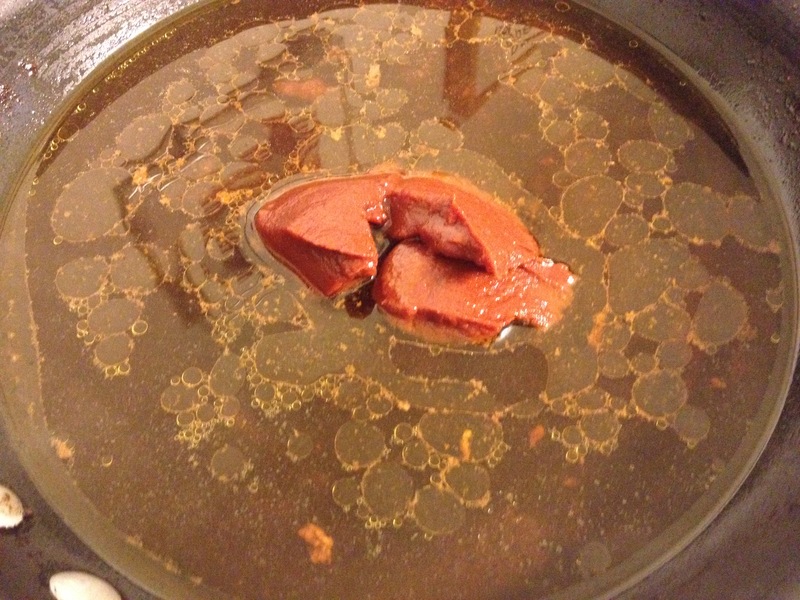 Cook the meat, turning, until browned on all sides, about five minutes. 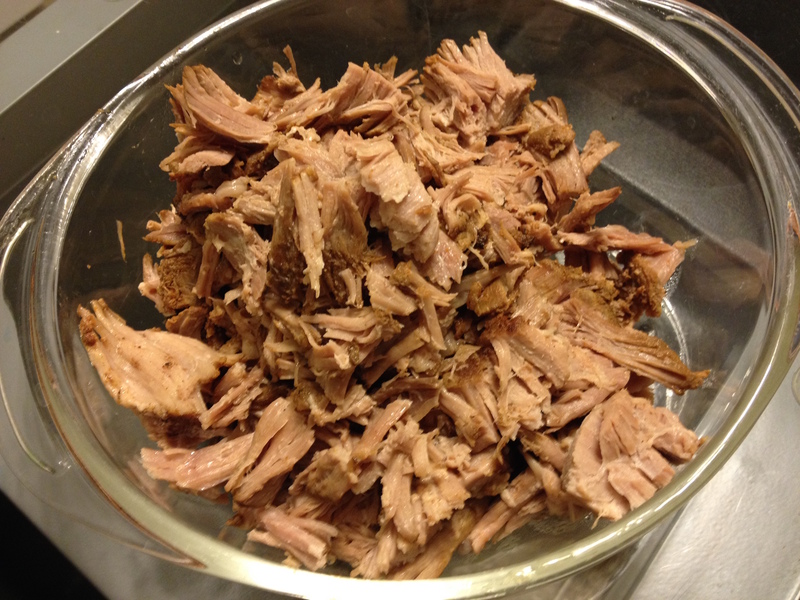 Remove the pork and transfer to the crock pot. 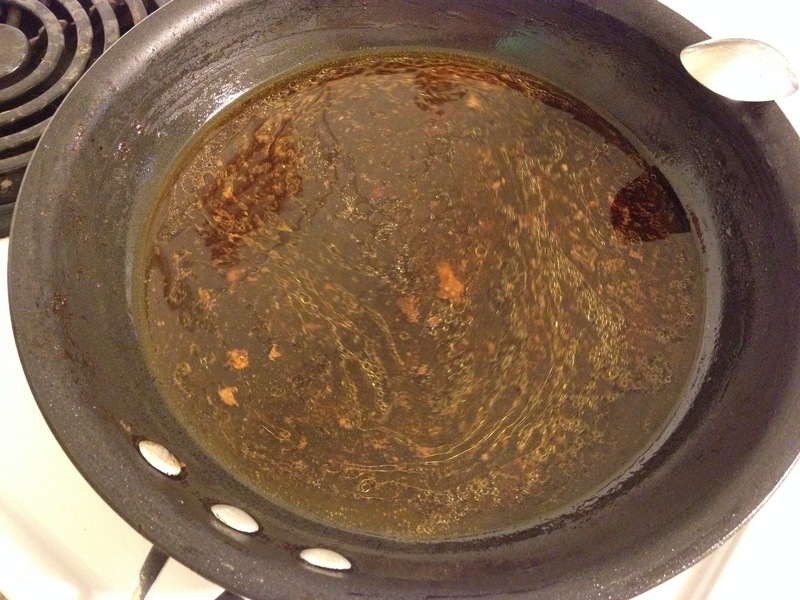 Whisk 3/4 cup water into the drippings in the skillet. 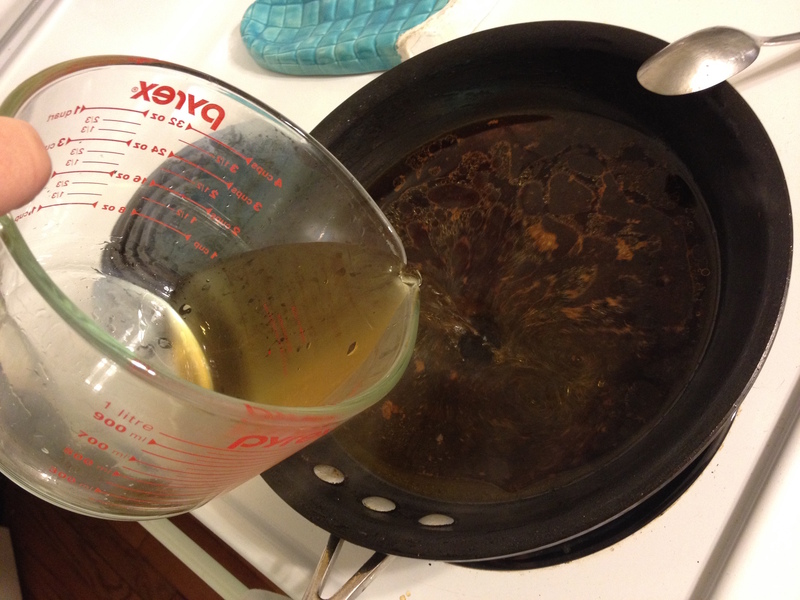 ... and stir to combine. 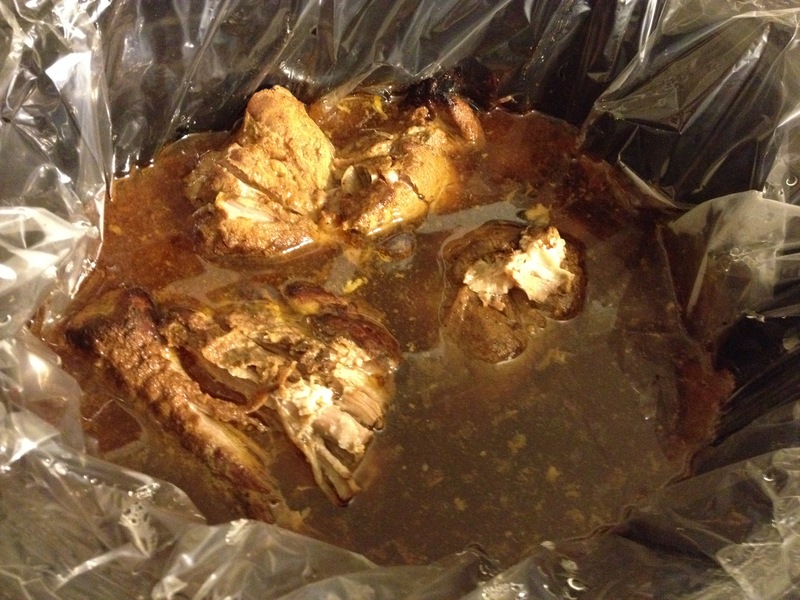 Add the liquid to the pork in the slow cooker. 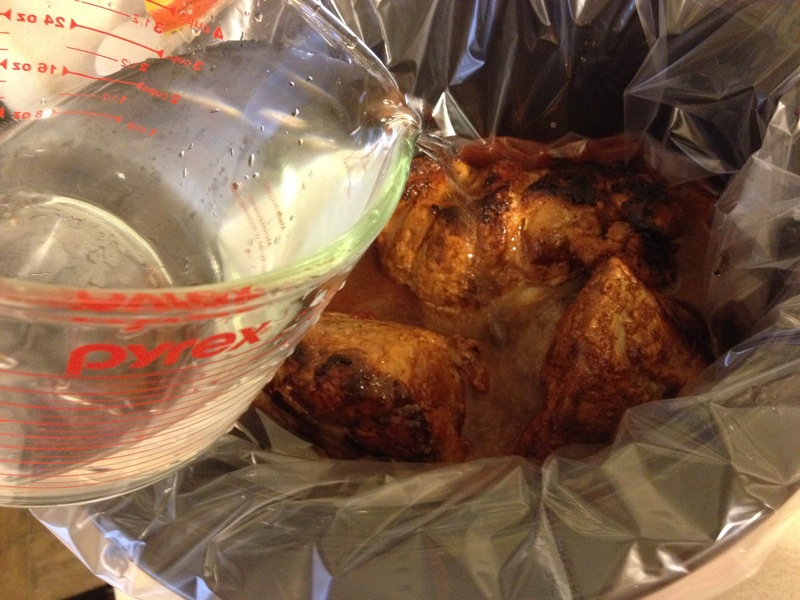 Add two more cups of water to the crockpot. 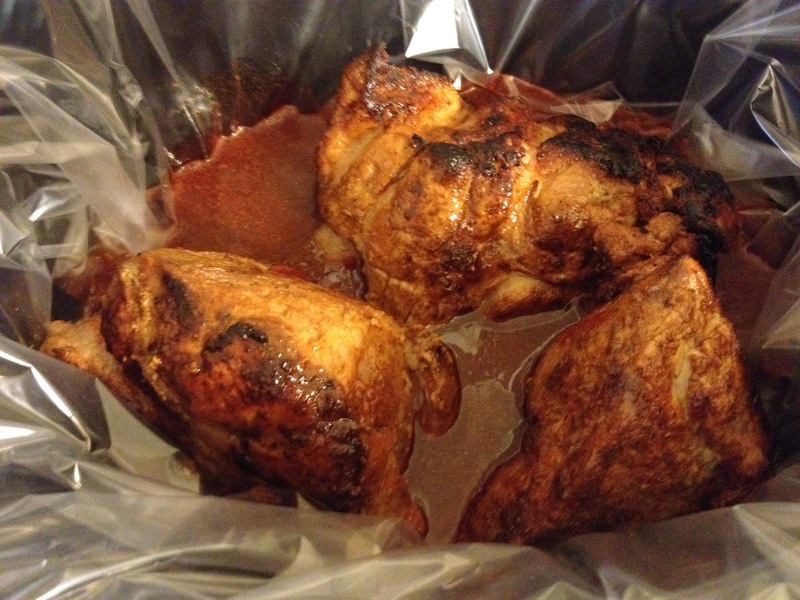 Cover and cook on low at least 8 hours. I turned it up to high at that point and gave it another hour and a half. 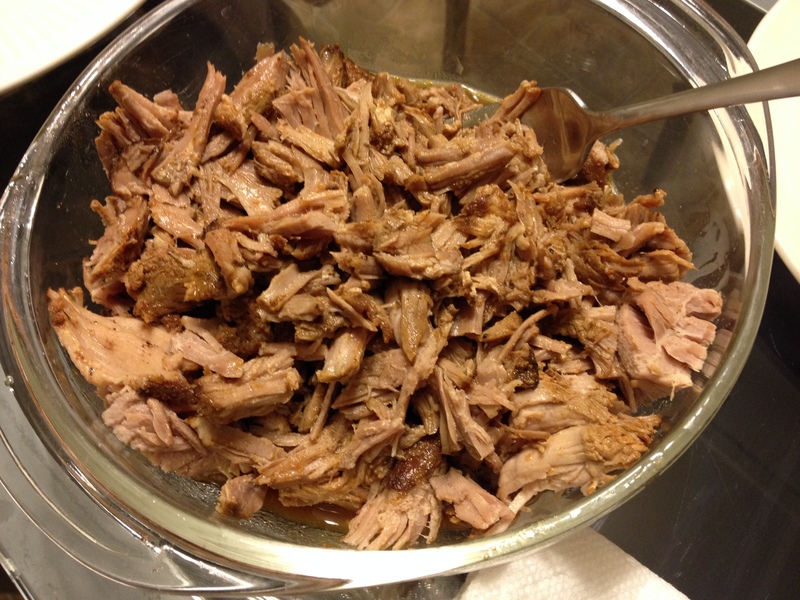 Remove the cooked pork and transfer it to a cutting board or plate. 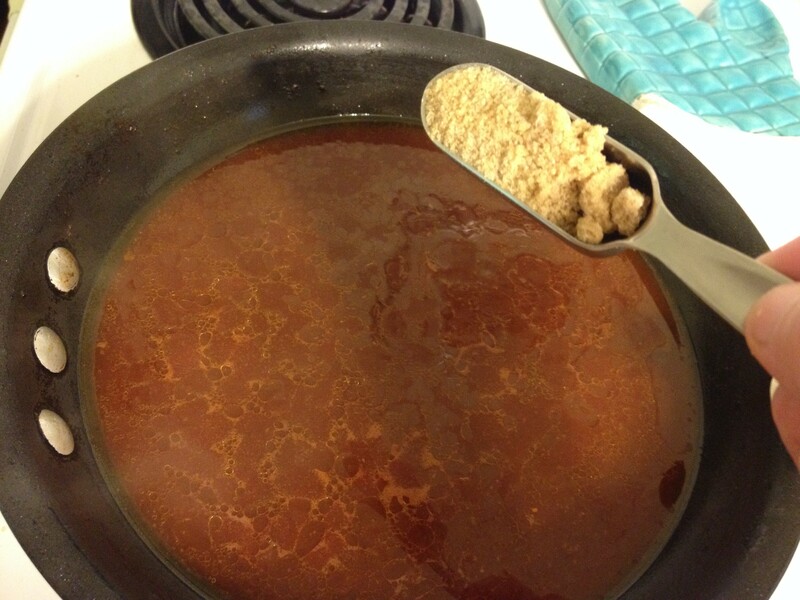 Roughly chop it and clean off the fat. 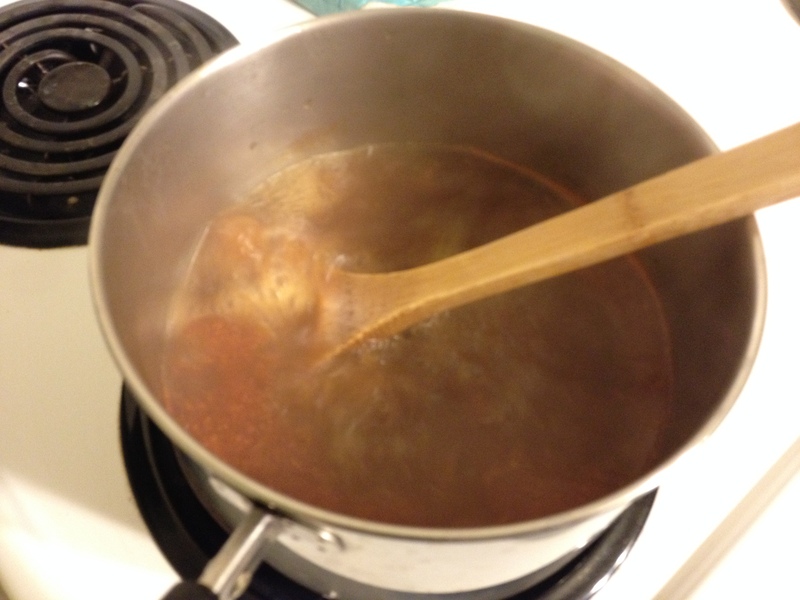 Strain the liquid into a saucepan, bring to a boil and cook until reduced by half, about 10 minutes. 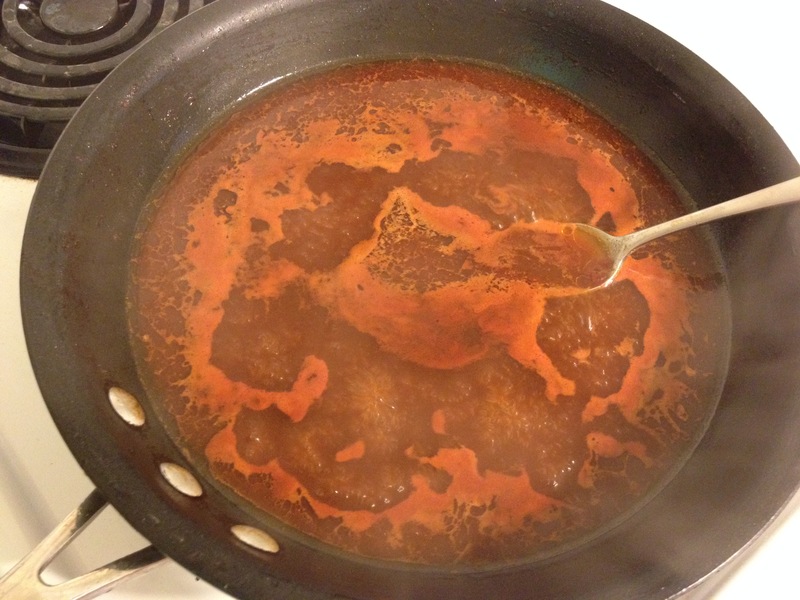 Mix the chopped meat in a bowl with one cup of the reduced cooking liquid. You can add more salt and vinegar to taste, but I didn't think it needed any. 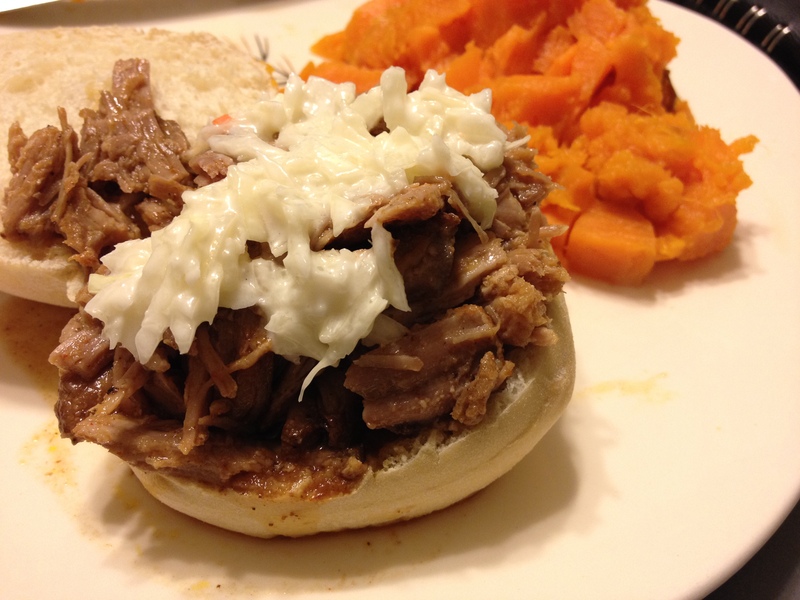 Serve on buns with barbecue sauce and coleslaw. De-freaking-licious! 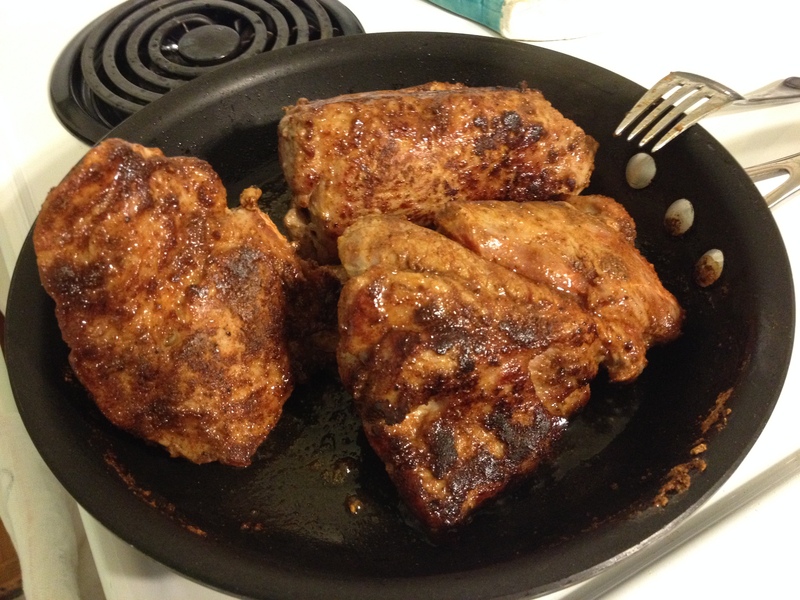 A 3 1/2 pound piece of pork made enough for four happy eaters: Maura, Nina, Bea and myself. Stephanie Grant made this for Bea and me a few years ago on a visit and we were slain. If you like Stephanie's taste in pork, you might like one of her novels: The Passion of Alice or Map of Ireland.